It can be pretty devastating when it looks like you’ve lost all your data. It doesn’t matter whether you’re running a business and the data is business related, or you’re a private individual who had some important information stored on their hard drive. 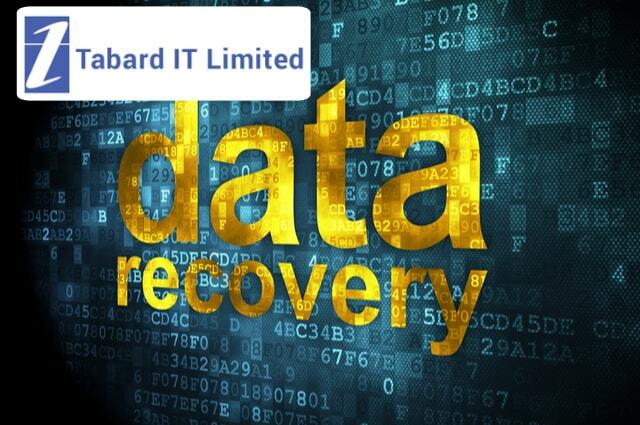 With Tabard IT Limited you can expect to get that lost data back, quickly and efficiently, and at a competitive price. The Tabard IT Limited team offers the best expertise and will guide you through the recovery process, and provide peace of mind. Get in touch with us as soon as you realise there is a problem, so that we can offer our advice and opinion. We will quickly identify the root cause of the data loss and provide you with the best course of action to restore your data. Rufus Chapman is the man who created this company, and he has more than 20 years experience in a variety of industries, not just IT related. It is our aim to help individuals and companies make the best use of their IT equipment, and provide solutions when things go wrong. As well as data recovery in Edinburgh, we also offer clean-ups, business network maintenance, support, security and system restores. With us in your corner, you’ll be able to keep your network and computers in full-working condition. Recovering data is not the easiest of jobs, and there are plenty of solutions online you can try yourself. However, this type of solution is not the best option, when there are companies like Tabard IT Limited who can take care of it for you. We will do our utmost to recover your data, and no job is too large or small. We work with small and medium enterprises, large companies and corporations and the PC user at home. We will need to inspect your device in order to recover the data. Once it’s recovered we will return your device to you together with the recovered data. The goal of our service is to recover your data before it gets lost forever. It is important that you get in touch with us as soon as possible. We can recover data from a wide range of storage devices and our prices are very competitive. The IT services we provide are prompt and trustworthy, so contact us today on 0131 339 9448 or alternatively, please email help@tabardit.co.uk. We offer our services in the city of Edinburgh, Glasgow and throughout Central Scotland.